Birankai certified teachers and master teachers Aki Fleshler, Technical Director, Suzane Van Amburgh, Chief Instructor, Robert Scollard and David Dewberry. Aki Fleshler, Rokudan (6th degree black belt), Shihan (Master Instructor), Dojo Founder. Van Amburgh Sensei began her aikido training in 1982 under Senseis Lorraine DiAnne and Paul Sylvain of Amherst Aikikai, Amherst, Massachusetts. She began her Iaido training in 1989 under Michael Flynn Sensei. Van Amburgh Sensei serves on the Board of Directors of Birankai North America (BNA) and on the BNA Examination Committee (the body that oversees blackbelt tests). Over the years she has served as Northwest Regional Coordinator (2008-2011, 2015), Summer Training Camp Director (2011) and served multiple working committees of the BNA Teachers Council. In addition to her aikido teaching certification, she is a trained teacher of the Feldenkrais Method® of somatic education and holds certification in the Brian Grant Foundation's Exercise for Parkinson's training. 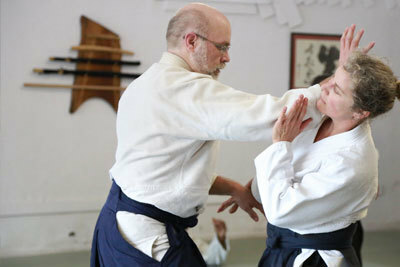 Van Amburgh Sensei teaches private lessons and special programs as well as regular weekly classes at the dojo. Dewberry Sensei began his Aikido training in 1979 under Mitsunari Kanai Sensei, of New England Aikikai, Cambridge, Massachusetts. Dewberry Sensei has studied with Dennis Abbott Sensei of Southwestern Aikikai, Albuquerque, New Mexico (1986-1996) and with Senseis F. Apodaca, A. Fleshler and S. Van Amburgh in Portland, Oregon since 1996. Dewberry Sensei has been teaching Aikido since 1994. Oliva Sensei began his Aikido training in 1996 under under Dennis Abbott Sensei of Southwestern Aikikai, Albuquerque, New Mexico. Oliva Sensei has studied with Senseis T.S. Okayama and J. Hauer in New Mexico and with D. Deskin Sensei in Arizona. 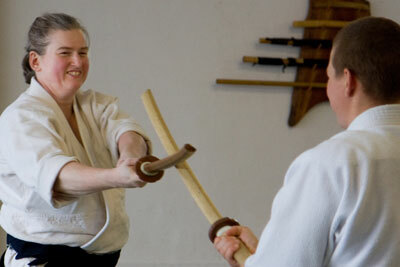 Oliva Sensei began training at Multnomah Aikikai in 2009. Sheedy Sensei began his Aikido training in 2001 here at Multnomah Aikikai. He served as the dojo treasurer for eleven years and has served in a financial advisory role for the Birankai North America Summer Camp. Sheedy Sensei has assisted with the the dojo's Youth Programs. He has helped teach children and teenagers since 2002. 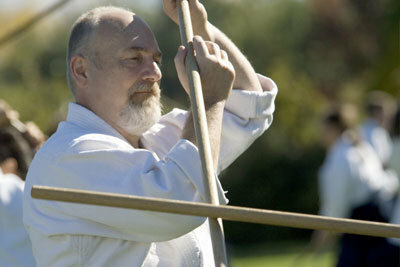 Sean is the father of two grown children, both of whom trained in the Children's Program at Multnomah Aikikai.